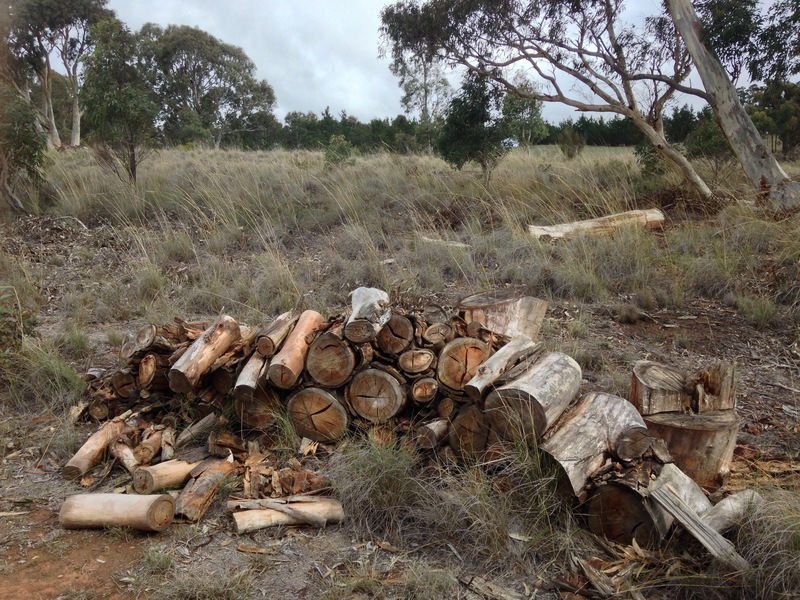 Sustainable firewood harvesting – Cut it green! It is that time of year on the Rock Farm, when harvesting firewood becomes a high priority. With our first frost on the ground, the dog has taken up residence in front of the slow combustion stove, and will only venture outside for calls of nature. It is a beautiful time of year, but only if you can be snug and warm inside. Our slow combustion stove is fired by firewood I try to harvest from the Rock Farm. Our farm isn’t heavily wooded, but I want to ensure that I am able to sustainably harvest firewood into the future in a way. And I do something a little different – where possible I try to harvest green wood! 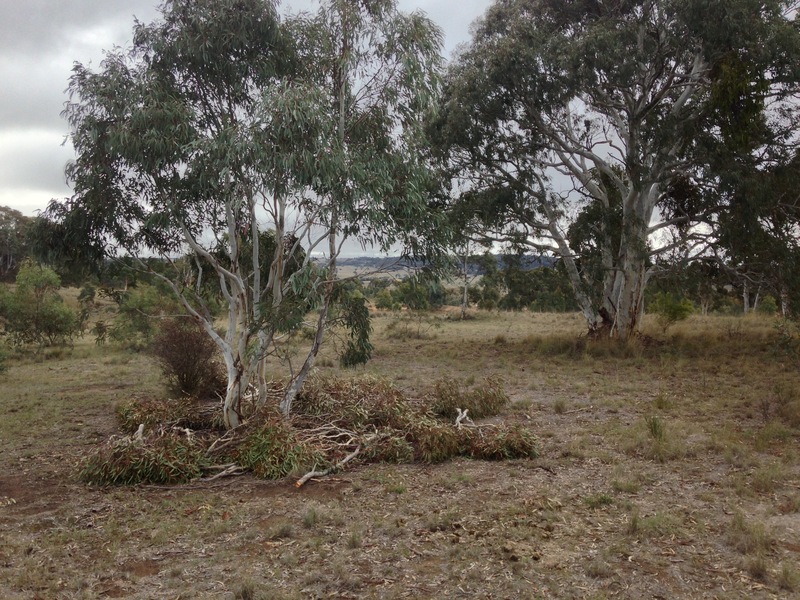 The smaller branches mean less splitting of logs later. The main disadvantage of course is that you need to leave the timber for a year or two to season, and this means you need to plan ahead. 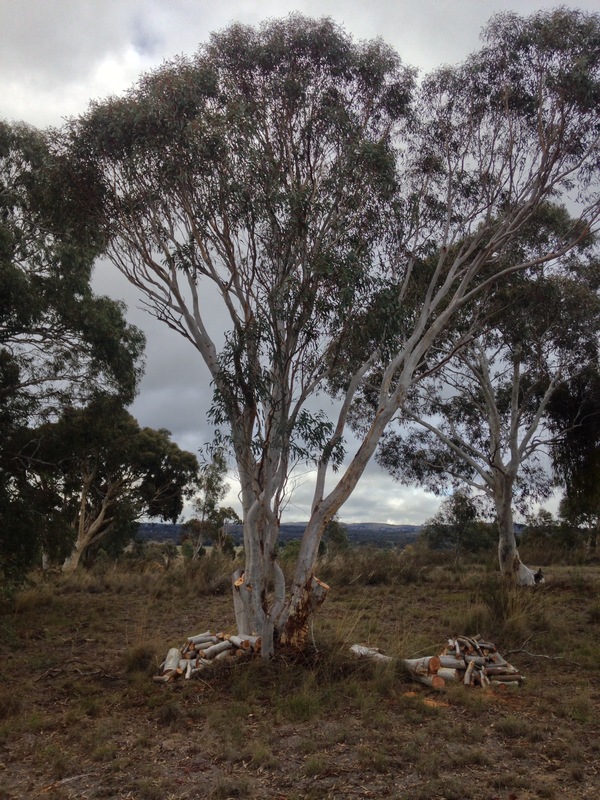 One paddock on the Rock Farm has many brittle gums (eucalyptus mannifera) and I have selected these as the primary target for my sustainable firewood harvesting. 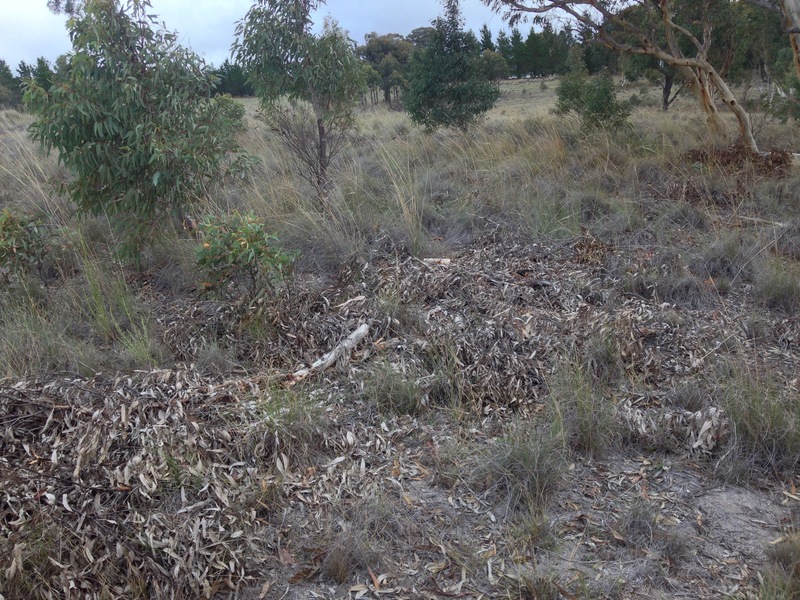 This allows the Red Stringybark (eucalyptus macrorhyncha) and the red box (eucalyptus polyanthemos) to continue to regenerate. I select a tree with many branches originating from the stump. After checking for birds nests, I select one or two of these for harvesting. Being quite small, they are easy to handle and safer to cut than old standing timber. I also use the small branches to cover bare soil or areas in need of some protection. This is a technique we have been using on all our bare patches of soil with great success. Garden clippings, basically any organic matter is placed over bare soil, encouraging plant growth. The smaller pieces dry out quickly meaning they are able to be burnt after 12 months, however I find a minimum of two years is ideal. And does it work? Yes it does, but it does require a fair commitment to build a big enough reserve of timber far enough in advance to see you through winter. We don’t always cut green timber – I did fell a large red-box stag this autumn. Its stump is surrounded by young red box trees which are far to small to harvest in this manner, but it is an encouraging sign for the future. Of course the one who gets most benefit of the slow combustion fireplace doesn’t care where the wood comes from… as long as it works!